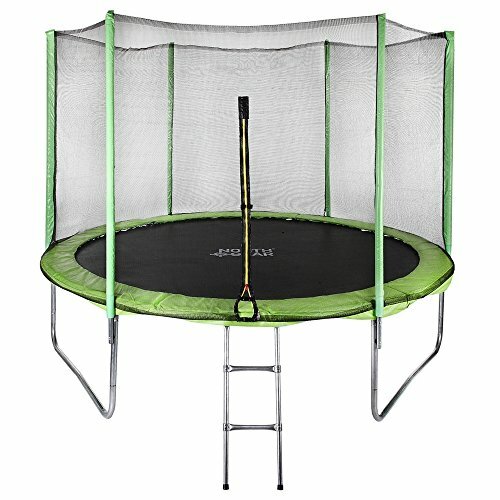 This high quality trampoline set from North Gear will fit great in your yard, providing fun and exercise for your family. Safety is an absolute priority with this item - the set includes a safety enclosure so your kids (or even you!) can't fall out. It's also built to GS safety standards, so you know it's strong and built to last. It's sure to provide lots of fun for the whole family, whilst improving fitness, balance, coordination and more. View More In Trampolines & Accessories. If you have any questions about this product by North Gear, contact us by completing and submitting the form below. If you are looking for a specif part number, please include it with your message. JumpSport 230F | Folding Fitness Trampoline, In-Home Rebounder | Easy Transport | No-Wobble Folding Hinge | Low Impact Workout | Top Rated for Quality & Durability | Music Workout Video Incl.